I am extremely happy with this colony so far. This is my very first colony so I'm hoping all goes well in the years to come. Ill update as often as I can. Next time I'll show some pictures of both colonies I have of this species... if I remember that is I am also working on trying to get a better camera. My phone takes all my pictures right now but I don't really like the quality. I hope you guys enjoyed the pictures. Okay so it's been a few days since my last post and if I count it right before I left for work approximately 30 minutes ago this Colony now has 13 workers. 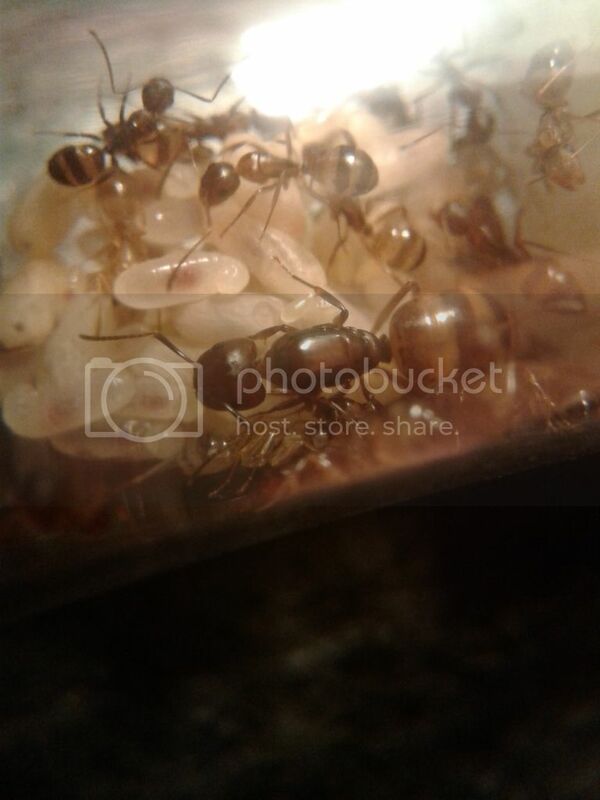 I'm extremely happy with his colony. They're doing so good. So much better than I expected anyways. 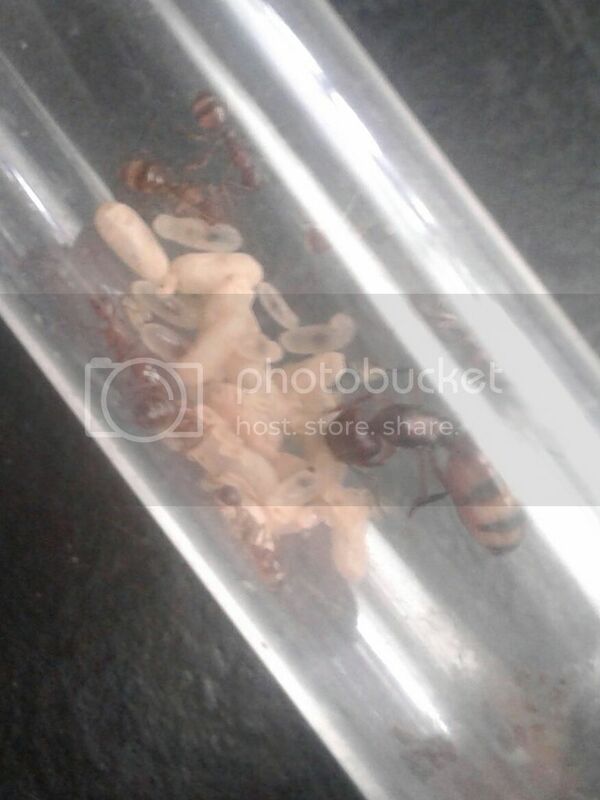 Every time I happen to look into the test tube it seems there's at least one new worker and the pile of brood is not getting any smaller LOL. I'm hoping everything goes well enough where I can move them into a hybrid Nest this year. But I'm one thing at least 30 workers before I do. I'll wait to post pictures until around the 15 worker mark. 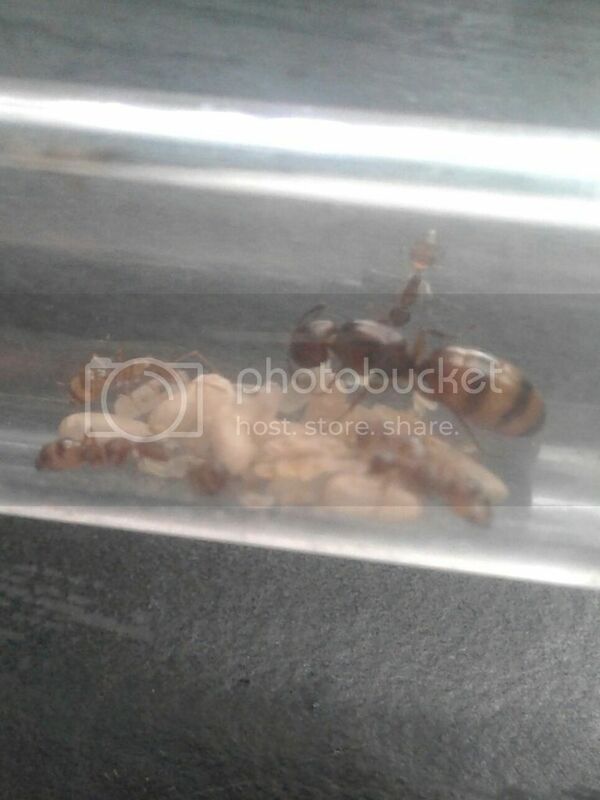 Also my other colony that has three workers I noticed yesterday also have a few pupae now. So I should be expecting some new workers with them here shortly. I'm going to have to keep this short because my lunch break at work is almost over but we are now up to 16 workers . I tried to get a picture with them all together as best as I could. I had to mark where 2 of the workers are cuz it was hard to tell by the picture. 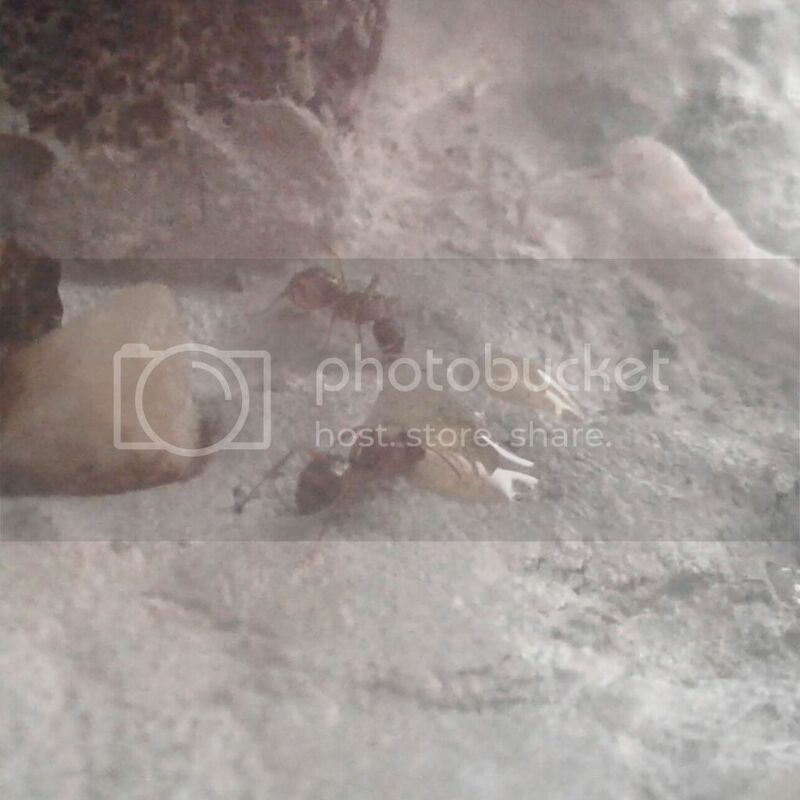 I also got a pretty decent picture of two of the workers exchanging food. I was really happy about that picture as well. Hope you guys like the pictures and the update. Just caught one of these today. Nice colonies! They are very beautiful. 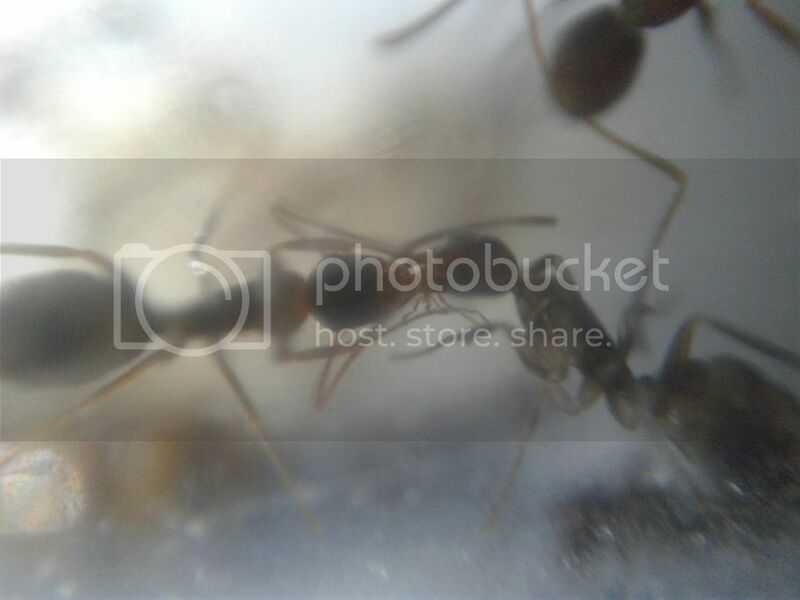 Do you have a journal of your aphaenogaster? I love carpenters and all but another person in my house has them so I don't get to excited over them. Very beautiful colony though. Also, I have been looking for a carpenter queen for a while and haven't found any. So I wanted to ask how, what time of day, and where did you catch her? 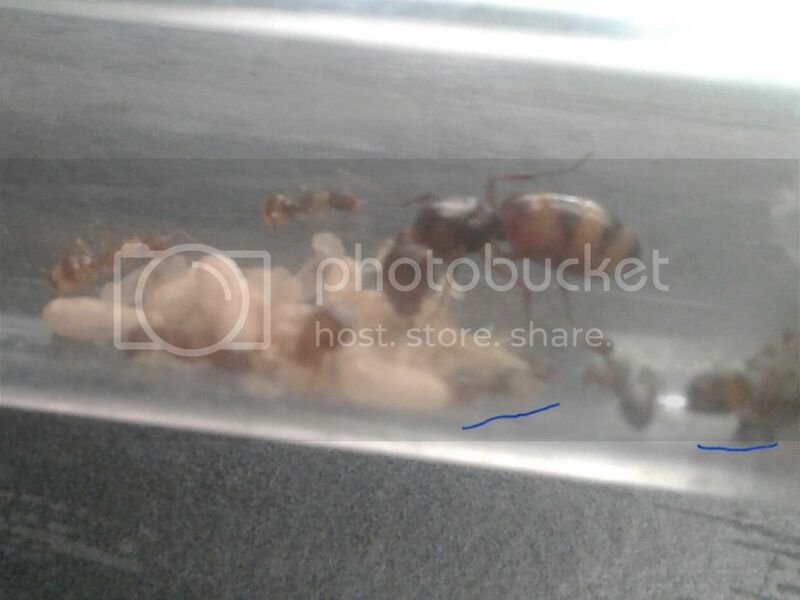 I have found all of my Camponotus during the afternoon or right after it gets dark up until about 10 or 11 p.m. Also most of the ones I have found have been by opening rotten logs but you have to be careful doing so and not try to disturb any mature or established colonies. 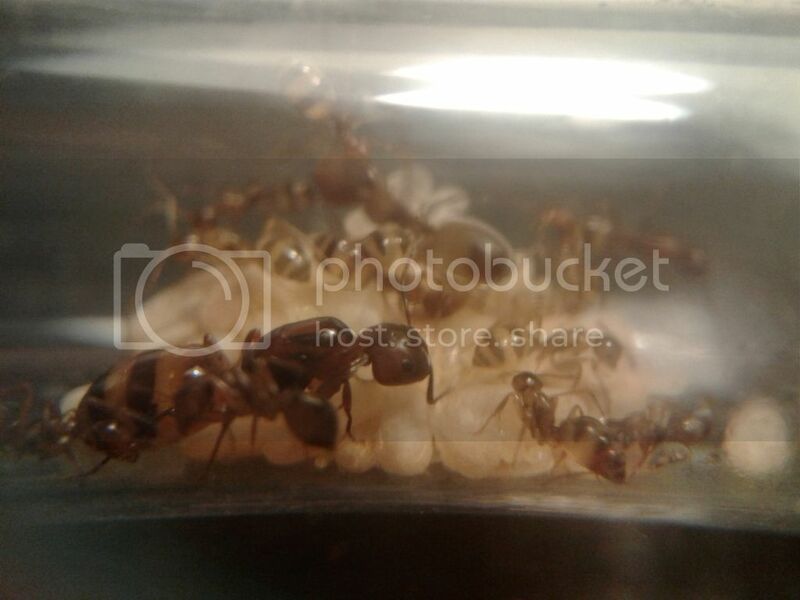 And I did start a journal for my Aphaenogaster colony but they seem to be kind of difficult to take care of. They take protein sources very easily but when it comes to sugars I've tried so many different things and it's like they don't take any. They are still growing though but they just don't look as healthy as a couple of the wild colonies I see outside of my house. Ah, ok. I look forward to seeing more posts! My biggest colon is now over 20 workers! I have purchased a macro lens for my crapy phone but hey, it works like a charm . Hope you enjoy! I also took a video. It's not the greatest but man was I happy with the detail you can see! I have to upload it then I will post it.